UPDATE (May 6, 2007): We have moved back to the States and as such, are no longer fielding questions about the island. To the best of my knowledge, answers to the FAQs were accurate as of late March 2007. Below is a list of questions I'm frequently asked about life on Kwajalein. Keep in mind that the answers are based upon my own experiences and are rather subjective in nature. Now for some legalese: Though McGrath Images does its best to verify the accuracy of this information, McGrath Images takes no responsibility for inaccuracies found within. Please note that I am in no way affiliated with KRS (Kwajalein Range Services), the major on-island contractor. For questions involving job- or contractor-specific information (i.e., "How much weight am I allowed to ship on the barge? ", "How's the pay out there? ", etc. ), contact the company directly or better yet, your on-island sponsor. Are there any golf courses on Kwajalein? Are there any good sources on the internet for Kwajalein weather data? What shipping options do I have for getting my belongings to the island? What items should I ship? What types of stores are on the island? What is the unit of currency? What about banking services? What is there to do for recreation? What do people do for food? What about cable or satellite TV? I'm interested in bringing my boat out to Kwaj. Who can I get a hold of to help me out with this? If I move to Kwaj, can I bring my dog or cat? Is there an on-island newspaper? I've heard about the dangers of sharks and pollution in the waters of Kwajalein. Is there really much danger there? What's the difference between "unaccompanied" and "accompanied"? Does that mean either married or single? Q: Are there any golf courses on Kwajalein? A: I stopped golfing regularly about 10 years ago and have never played the courses out here. Kwajalein Island has a 9-hole course with Roi-Namur (the northern-most island in the atoll; a 40-minute free flight from Kwaj Island) having another 9-hole course (what people jokingly call the "back 9"). Both courses are completely open to the public and I don't believe you need to join any club to play them. They're managed by a few American civilian contractors with hired Marshallese as the groundskeepers. The greens are watered regularly with sprinklers and the grass is well maintained. I wouldn't call the courses Masters-quality, but do feel that they match typical state-side municipal courses. I've heard that there are a limited number of clubs for rent on Kwaj (not sure about Roi). 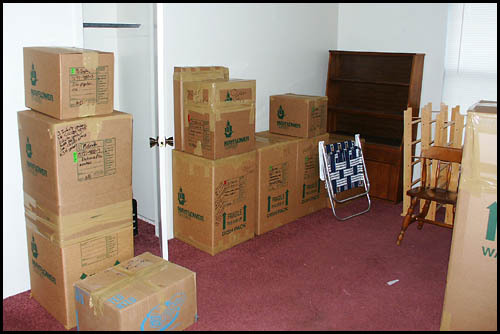 The VAST majority of residents ship their clubs and carriers when they move here. The small sporting and house goods store (Macy's West) on Kwaj does sell a few clubs (perhaps a dozen different ones), carriers, towels, and about 6 different types of balls, though the stock and selection varies wildly. I imagine most avid golfers stock-up in the states while on vacation and ship everything back to Kwaj. I'm sure there are also on-line retailers that will ship to us (they must use the USPS, not UPS or FedEx). Q: Are there any good sources on the internet for Kwajalein weather data? A: Why yes, there is. Funny you should ask this question, since I recently spent two months redesigning the RTS Weather Station's web site (gratuitous plug). This site includes a lot of information, including near real-time radar, satellite, forecasts, and observations. Detailed information about our products and the systems that produce them, along with archived information and links to other interesting sites are also provided. Q: What shipping options do I have for getting my belongings to the island? What items should I ship? A: As unaccompanied personnel, the company my fiancée and I work for allowed us each to ship 200 lbs. via the USPS (sorry, no FedEx or UPS service here!). Priority-labeled parcels typically take 12 to 14 days to reach Kwaj from the US mainland. Parcel post, though cheaper than Priority, typically takes an extra week or so. Any items you can’t live without for 30 to 60 days should be shipped via the USPS. Better yet, send them two weeks before you leave the mainland and they’ll be here waiting for you. I’d suggest sending items such as an alarm clock, coffee pot, a selection of clothes, some linens, etc. We live in the Bachelor Quarters (BQs) and were provided with towels, sheets, and pillows, which we returned once our own supplies arrived. I understand those living in the trailers and houses are also provided with pots and dishware, though I can’t confirm this. In addition, we were each allowed to ship 1,200 lbs. via barge. For us, this was comprised of large items such as wardrobes, books, computers, TVs, etc. Keep in mind that the barge, which departs from California, takes about 30 days to reach Kwaj. The moving company came and boxed all our items up but unfortunately reached the docks two days after the barge left. Thus, it took almost two months for the items to arrive on island. Talk about Christmas in July! We did a pretty decent job deciding what to bring with us and what to put into storage. A couple of regrets include photo albums and musical instruments placed into storage, which we would’ve liked to have had on island. Q: What types of stores are on the island? 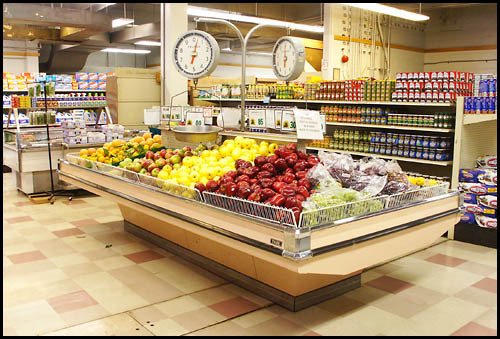 A: Surfway is the island grocery store, where you can find a selection of produce, meats, canned goods, and frozen foods. Produce is periodically flown in and is usually pretty fresh. Selection can get scarce when the produce plane is delayed, sometimes for a week or two. These delays also effect any fresh or refrigerated dairy items. Ten-Ten is a convenience and liquor store. Though smaller than Surfway, they sell many of the same items. In addition, they have a wider variety of toiletry and personal items. They have a decent selection of wine, beer, and hard liquor. Their beer prices are rather high (about $8 for a six-pack), but the liquor prices are very, very low. Macy's (no relation to the REAL Macy's) is a small department store. They sell clothing and shoes for men, women, and children, as well as electronics (DVD players, VCRs, radios, and TVs), collectibles, and toys. Macy's West is part hardware, part sporting goods, and part house ware store. You can find a selection of golf, tennis, racquetball, baseball, basketball, and snorkel equipment. Also available are beach chairs, coolers, propane grills, bikes, and fishing supplies. The house ware portion stocks dishes, silverware, cooking supplies, Tupperware (sometimes), mattresses, microwaves, toaster ovens, coffee makers, sheets, pillows, vacuums, hairdryers, electric razors, etc. There's a beauty salon/barber shop that sells men's and women's hair care products (shampoo, conditioner, gel, mousse, etc.). Next door is a Continental Air Micronesia travel agency. Tape Escape is the island video rental store, offering movies on DVD and VHS. Even with all this selection (said somewhat sarcastically), you'll find yourself frequently purchasing from Amazon.com and drugstore.com. Be forewarned that most online retailers refuse to ship electronic items to APO (Army Post Office) addresses. APO-friendly electronic retailers include Crutchfield, J&R Music World, and B&H Photo and Video. Sorry, Best Buy, Circuit City, CompUSA, and even Amazon will NOT ship anything even slightly related to electronic items to Kwaj (including printer cartridges and computer cables). Q: What is the unit of currency? What about banking services? A: The Marshall Islands use the US dollar. The stores on Kwaj accept cash, credit cards, and checks. The Community Bank, a division of Bank of America, recently replaced The Bank of Guam as the provider of Kwajalein’s banking services. In addition to providing faster credit card transactions, The Community Bank has installed ATMs in their branch, Ten-Ten (the convenience and liquor store) and the Kwaj Lodge (the small hotel). You can reach the branch at 805-355-2177. The stores allow you to write checks up to $50 over the purchase amount, though Macy's will cash checks up to $250. This is how I get my cash. As most people, I still have my savings and checking accounts with a bank in the states, with paychecks electronically deposited into my checking account. When I have a check written out to me, I send it in the mail to my bank with a deposit slip. The best thing about being here is how much money you can actually save. We pay no state or federal tax. Ching! We do pay FICA, Medicare, and a 5% Marshallese tax…for a total tax rate of only about 13%. Q: What is there to do for recreation? - Snorkeling, which is quite incredible. Though Macy's West sells snorkel gear, the selection (as with most items on the island) can get rather slim at times. I'd suggest picking up a nice mask, snorkel, fins, and booties before coming out to Kwaj. - Free movies are shown four nights a week at the open-air public theater and the semi-enclosed “adult” theater (where they show the rated-R movies). - A SCUBA diving club (the second most active in the world). A number of instructors offer certification classes at an average price of $230. In addition, some sell SCUBA equipment at discounted prices. Many consider the diving here to be unrivalled ...definitely something you should take advantage of! Check out http://www.kwajaleinscubaclub.com/. - Go for a bike ride. The island circumference is about 7 miles. Note that any bike you own out here will begin to rust within just a few weeks. The salt spray in the air is corrosive. - Take a free flight up to Roi-Namur, the northern-most island in the atoll. - We have a nice Adult Recreation Center, which offers free billiards, use of computers with internet connectivity, a music practice room, board games, big screen TV with VCR and DVD, and even a kitchen. Q: What do people do for food? A: Accompanied personnel are on their own. All their food is purchased from Surfway or Ten-Ten. The big plus to being unaccompanied personnel is that you get a meal card (free food). 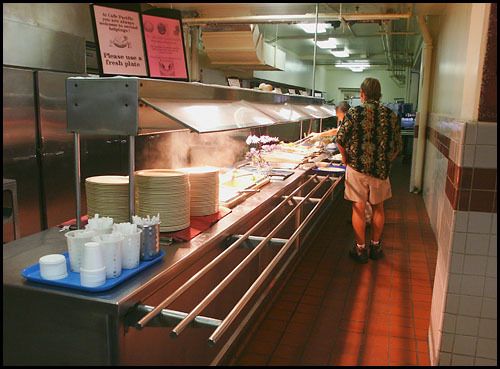 The cafeteria (Café Pacific, also known as the PDR) serves three meals a day. Though the selection gets old at times, they do their best and always have a great salad and fruit bar. For lunch and dinners include three main dishes (usually fish, chicken, and "other"), hot dogs, hamburgers, "freedom fries", white rice, potatoes, a lunch meat (ham, turkey, roast beef) sandwich bar, ice cream machine, and assorted slices of cake and pie. There’s also a small food court that serves hamburgers, chicken sandwiches, pizza, etc. My suggestion: get your fill of McDonalds and Burger King before you move! A: The public dial-up network is managed by KRS IT and is a free service available for everyone on the island. Users typically connect at 54 kbps with transfer rates around 5 kbps. At this speed, a 1 MB file will take around 3 to 4 minutes to download. As a big fan of braodband (who isn't? ), it took me a while to get used to the slower transfer speeds. On a positive note, most organizations have office LAN connections with speeds similar to DSL and cable modems. The public internet currently supports 161 concurrent dial-in connections. Rarely do users get busy signals when dialing into the modem pool. The public network is connected to a proxy server that uses the application Smartfilter to restrict access to web sites containing malicious, drug, criminal, hate speech, or pornographic content. The database of sites is a subscription service from Secure Computing Corporation and the categorization is controlled by them. Suggestions for changing a sites definition can be submitted through their web site and reviewed. The proxy server also blocks P2P file-sharing clients like Kazaa and BearShare, but not legal, pay-per-download music clients such as iTunes. P2P protocols are blocked or ranked by a bandwidth policy controlled outside of the Smartfilter. Since KRS IT uses private address space inside their network, it would be difficult and ill advised to allow systems from the outside of their network in. That is why P2P programs do not work. Q: What about cable or satellite TV? A: Nope, cable TV is not available on Kwaj. The TV service we do have is provided by AFN, the US Armed Forces Network. We currently have a whopping eight channels, all delivered over-the-air. This means you get to dig-out the rabbit ears antenna that has been collecting dust in the attic. Reception varies widely and depends on whether the antenna has a clear line-of-site with the broadcast tower and what type of dwelling you live in (metal trailers seem to block much of the signal). Macy's West stocks a variety of antennas and bulk coax. The BQs have communal roof-top antennas, which have been recently upgraded (as well as the signal pre-amp distribution boxes). Each room has a single wall plate coax socket that feeds off the antenna. Reception is decent and usually rivals that delivered from set-top antennas. Saying that we have eight TV channels is a bit deceiving. Yes, we have eight discrete channels, but two are tied-up by a weather radar channel and a community information bulletin board. The remaining six channels, the formats of which can change throughout the day, deliver a plethora a US programming, such as sitcoms and dramas (The Simpson's, Survivor, Boston Legal, etc. ), news shows (GMA, Headline News, CNN, Bill O’Reilly, etc. ), and sports (ESPN News, games, etc.). Current USAKA regulations prohibit the use of private satellite dishes. At some time in the past, the residents of Roi-Namur banded together to acquire a communal USAKA-approved satellite dish. The resultant service delivers an additional five or six channels to the "Roi Rats", including a movie channel and the Australian Discovery Channel. Visit www.myafn.net to see what programs are currently being shown on these channels. Q: I'm interested in bringing my boat out to Kwaj. Who can I get a hold of to help me out with this? A: You'll need get USAKA's approval to bring your boat out here. The Kwajalein Yacht Club (www.kwajyachtclub.com) should be able to help you out. Q: If I move to Kwaj, can I bring my dog or cat? 1 - There is a limit to the number of pets USAKA allows on the island at one time. You'll definitely need to coordinate with your sponsor to request permission to bring your pet with you. I'm sure there's a slew of paperwork that will need to be filled-out (hey, it's the government folks, what did you expect?). 2 - The hot and humid tropical environment can be very taxing on large and furry dogs. It's not uncommon for people to bring large dogs out here who subsequently develop health problems, especially with their hearts. Ask yourself if you really want to put your pet through that. 3 - There is some sort of mandatory quarantine while flying through Honolulu. I've been told by on-island pet owners that if you stay in Honolulu less than 48 hours on the way out, your pet would be kept in quarantine at a kennel at customs. If it’s more than 48 hours…I’m not sure. Vet Services or Honolulu Customs should be able to explain further. Q: What will my mailing address look like? Q: Is there an on-island newspaper? Q: I've heard about the dangers of sharks and pollution in the waters of Kwajalein. Is there really much danger there? A: We asked a lot about the sharks before learning to dive and quickly learned that there’s nothing to worry about. Supposedly, there’s only been a single shark attack incident since WWII and that was caused by a diver who felt it necessary to repeatedly poke a shark in the eye with a stick. I think I’d defend myself if I was the shark too! We’ve seen many sharks, both snorkeling and diving, and other than making a few passes to check you out, they don’t seem to care about you. As for the pollution, I’ve never heard of this being a problem. I have heard that the Marshallese on Ebeye often throw their trash in the water and raw sewage occasionally seeps out of their sewage system. If this is true, I’ve yet to experience anything like the pollution in the Great Lakes (from where I hail). If you're a water person, you will truly find Kwajalein to be heaven on earth. Q: What's the difference between "unaccompanied" and "accompanied"? Does that mean either married or single? A: Accompanied personnel are those with dependents who live with them on Kwajalein. For example, I know a guy here whose family lives in Hawaii. Since they don’t live here, he is considered to be unaccompanied. Families live in trailers or more likely hard houses with two to three bedrooms.